The Problem With ‘The Flash’: Why Doesn’t Flash Hike The Appalachian Trail? Let’s get one thing out of the way: I think The Flash is an excellent TV series. 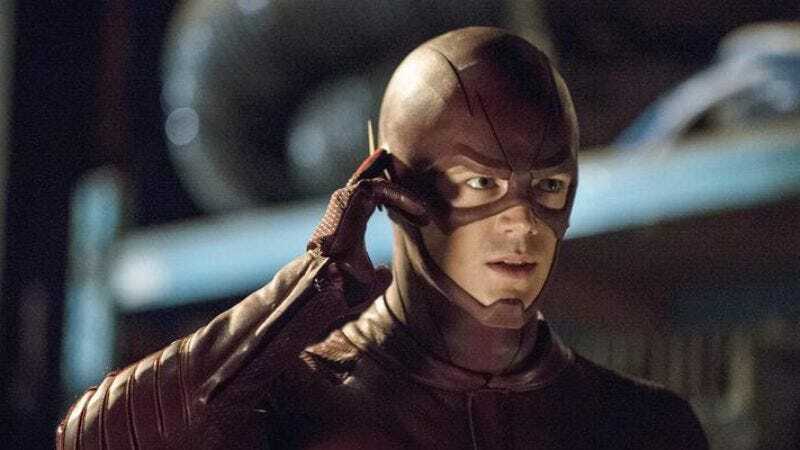 Showrunners Greg Berlanti and Andrew Kreisberg have developed Flash into a unique and stylish character, which is no small feat in a media landscape crowded with superheroes. In some ways, though, the show is still finding its footing, and nowhere is this more true than in its perplexing reluctance to show Flash hiking the Appalachian Trail. For a series that usually manages to avoid glaring plot holes, this one is a head-scratcher. Surely Flash knows about the Appalachian Trail. Surely he’s heard veterans of the A.T. talk about what a transformative experience it was. So why doesn’t he take the plunge and try it for himself? It makes no sense. All the writers would need to do is include a three-to-four-episode arc where Flash puts crime-fighting on hold for a few months while he and a few of his closest friends hike the 2,200 miles from Maine to Georgia. Why not correct this very obvious error? Here’s my point: If The Flash can make room for an entire Legends Of Tomorrow spinoff movie incidental to the show’s main plot, then why not include an Appalachian Trail subplot? The show has shown such a deft hand balancing invention with satisfying fan expectations that it’s doubly frustrating to see the writers willfully ignore what has been obvious for at least the last season: Flash should be on the Appalachian Trail. If The Flash can make room for an entire Legends Of Tomorrow spinoff movie incidental to the show’s main plot, then why not include an Appalachian Trail subplot? The story arc could break down as follows: one episode devoted to showing Barry Allen packing for the trip, as well as planning when to begin his journey and deciding whether to start in Maine and travel south or attempt the more challenging south-to-north thru-hike. Then, one or two episodes where we get to see Flash’s actual experiences on the trail: the people he meets, the memories he shares with them, and, of course, the breathtaking surroundings, a part of America neither Flash nor viewers of The Flash often get a chance to see. Finally, there could be one episode about what Flash has learned thanks to his A.T. experience—perhaps it could be a bottle episode where Flash sits down with his dad, who also hiked the trail, and the two of them reflect on what it meant to them. I hiked the Appalachian Trail when I was 24, and it absolutely changed my whole outlook. Simply put, it’s an incredible experience that I would recommend to anyone, Flash and all his fans included. My trail name was Rain Way, and there’s a story to tell there, but I can’t tell it here. Suffice it to say, it represented who I was at the time and where I was headed. Of course, there’s no way to tell what Flash’s trail name would be, since it’s true what they say: You don’t find your trail name. Somewhere in the hills of Pennsylvania or West Virginia, your name finds you. Then, just like with the real Appalachian Trail, it would be over before our hero knew it, but Flash—and viewers too—would come out of the A.T. experience with a bounty of memories and stories behind him, not to mention four episodes of arresting, can’t-miss television. It’s a no-brainer. The CW, the ball is in your court.